Welcome to Om Massage and Energywork. 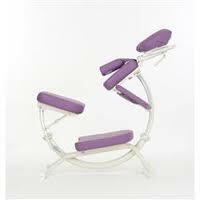 Now specializing in on-site corporate, and private chair massage services North of Boston. Kori Vitiello, LMT, will travel to your private function or place of business with the next generation in massage chairs, The Dolphin II. This new style of chair provides unparalleled comfort and versatility.